Català: Jardí sec a Ryoan Ji (Kyoto, Japó), Abril de 2004. Čeština: Suchá zahrada v Ryoan Ji (Kjóto, Japonsko), duben 2004. Deutsch: Trockener Garten in Ryoan Ji (Kyoto, Japan), April 2004. 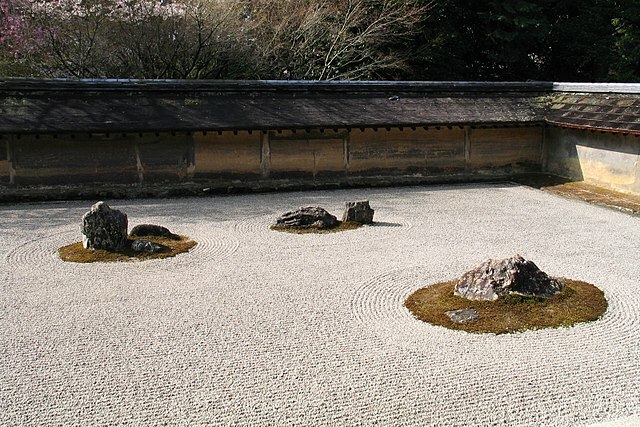 English: Dry Garden in Ryoan Ji (Kyoto, Japan), April 2004. Español: Jardín Seco, Ryoan Ji (Kioto, Japón), abril de 2004. Français: Jardin sec à Ryoan Ji (Kyoto, Japon), Avril 2004. Slovenščina: Suhi vrt, Rjoan Dži (Kjoto, Japonska), april 2004.
текущий 21:18, 2 июля 2015 1600 × 1067 (1,77 Мб) Sdalu Uploading higher resolution of the file, same licensing apply. This work is licensed under a<a rel="license" href="http://creativecommons.org/licenses/by-nc-nd/3.0/%22>Creative Commons Attribution-NonCommercial-NoDerivs 3.0 Unported License</a>.